Our most popular jersey stadium blanket is ready for a monogram or name. 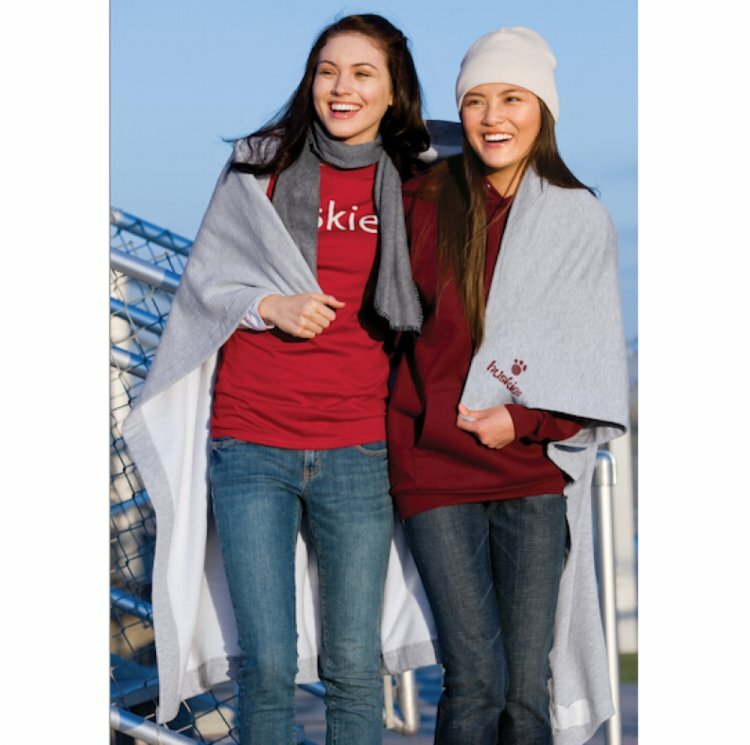 Our comfy and warm 50 x 60 sweatshirt jersey blanket is great for outdoor games or watching TV. Place your monogram on the corner in a 4 inch diameter with your favorite thread color to make it pop! Comes in black, navy, red, athletic grey, carolina blue, dark green, graphite,gold, neon yellow and maroon. We have just added our new camo patterns- blue, green and camo pink. Perfect for a little boys room in orange thread for his room. 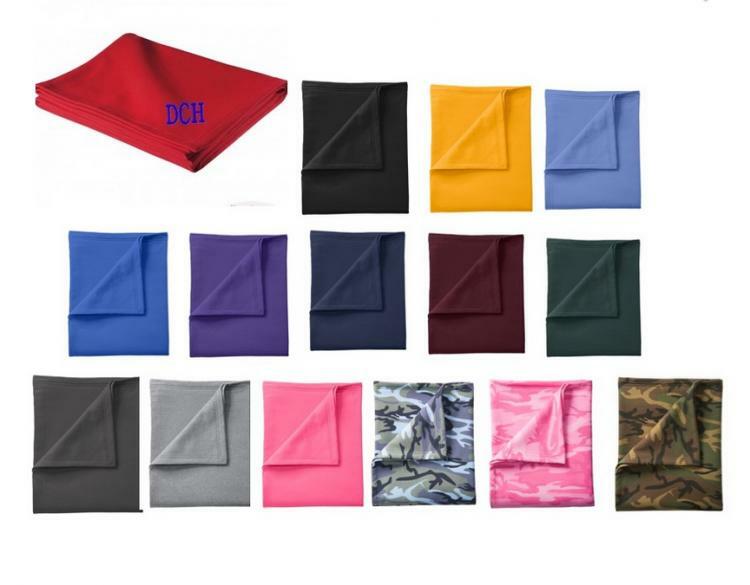 Dad will love this blanket to keep him warm on those tailgating trips. 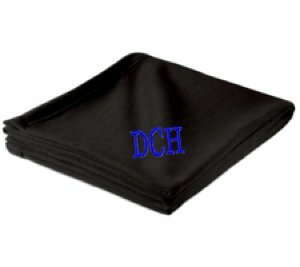 Students love this blanket for college life. Makes a great gift for graduation, sports fan or team mom. Price: $40.00 In stock! - Browse this brand: The Pink MonogramOur products are custom made to your specifications. This product ships up to 2 weeks after your order is placed.